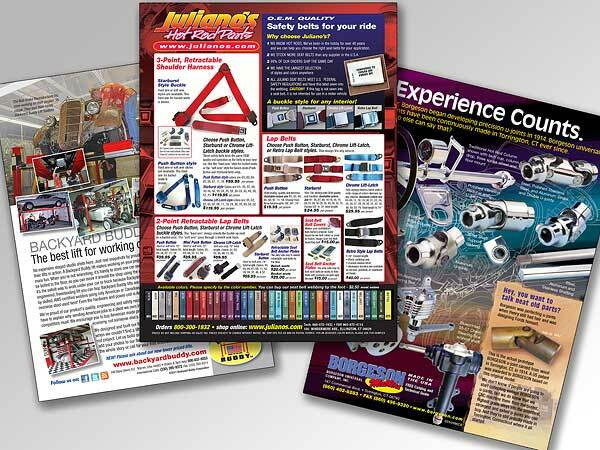 Do you need an ad designed for your company or a new product? 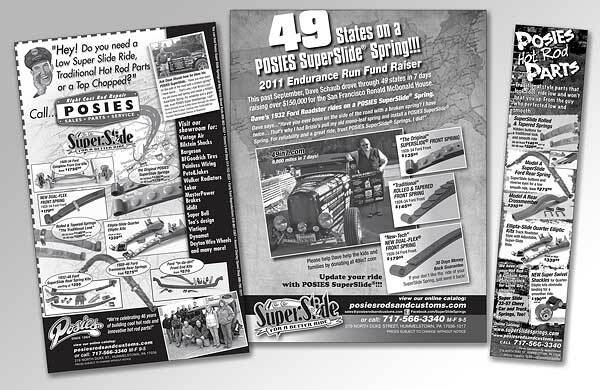 I will produce your new ad from the first ideas to the completed digital file that's sent to the magazine. 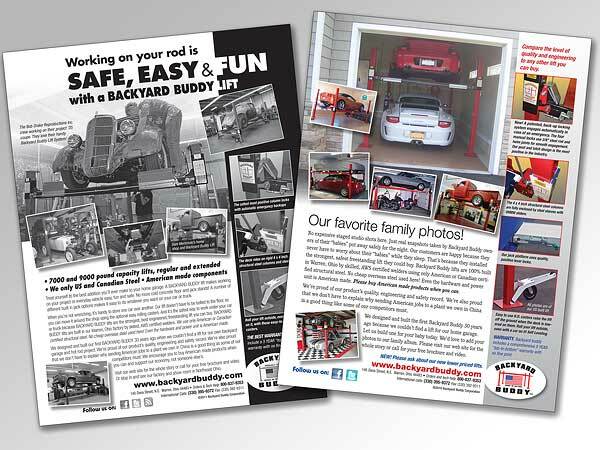 I specialize in advertising and catalog design for smaller manufacturing firms and the the automotive aftermarket. 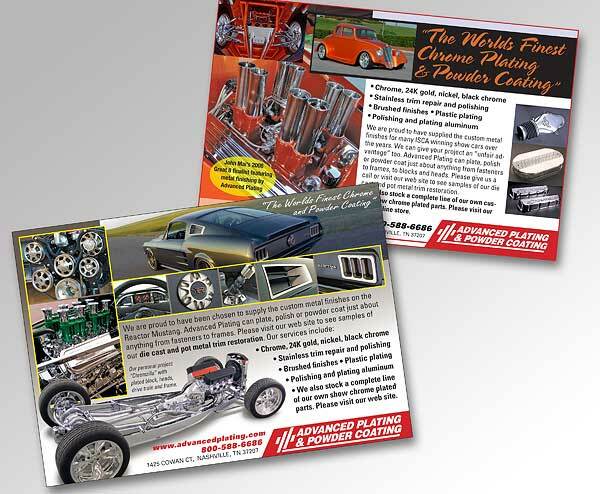 I understand the high performance automotive parts business because cars have been a lifelong passion along with my art. 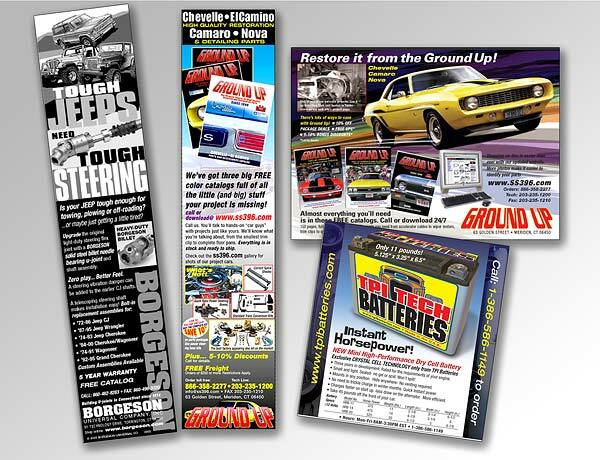 I know what automotive products are and how they work. You'll never have to explain to somebody, who thinks a car is just a place to plug their phone into, what a disc brake kit for a '70 Chevelle is. Starting with a discussion of your goals, I'll then show you a couple of ideas, design a logo and take photos if necessary, write or edit the copy, complete the ad to magazine publishing standards using Adobe InDesign and Photoshop., You will receive final proofs to review and then, with your approval, I will send the completed digital file to the magazine.